This story has a happy ending! 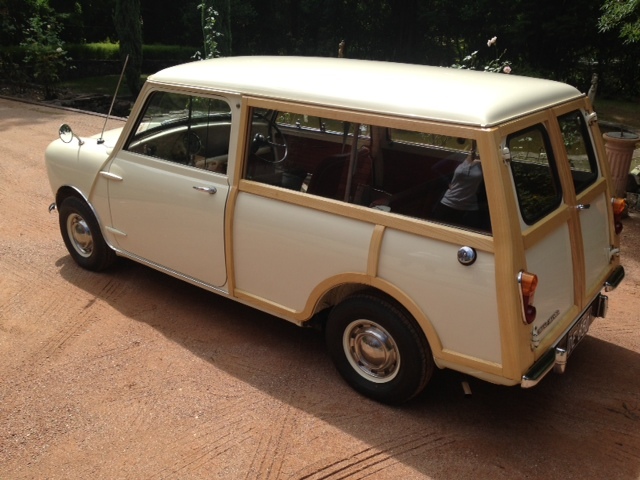 Here she is in March 2015 fully restored by it’s current owner. 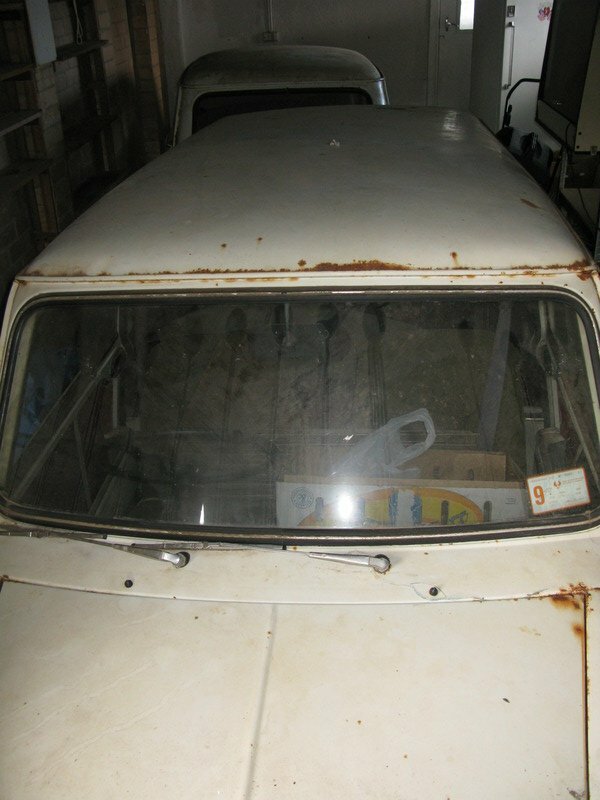 It’s without the original motor/gearbox, but I have the original plates and rego papers in my name so ownership transfer is a possibility. 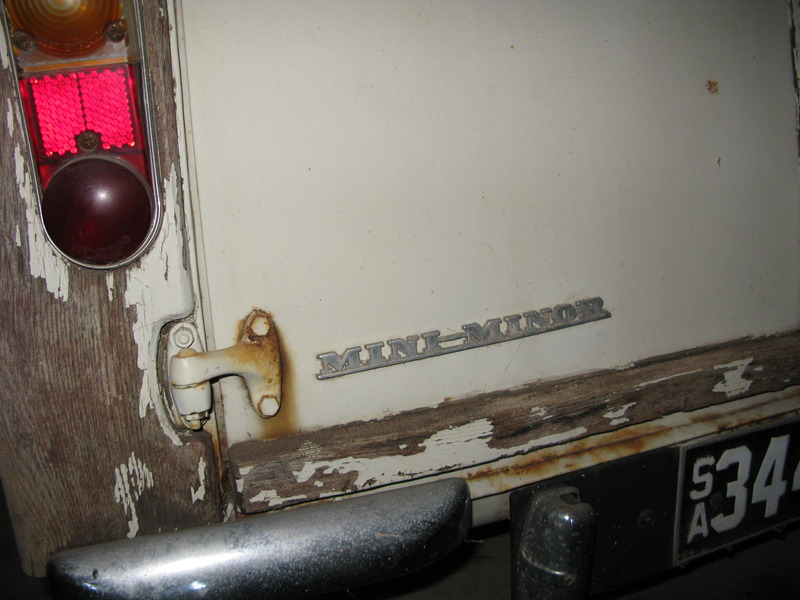 I also have the plate with the engine number on it – engine numbers in 1960 travellers were riveted to the block. 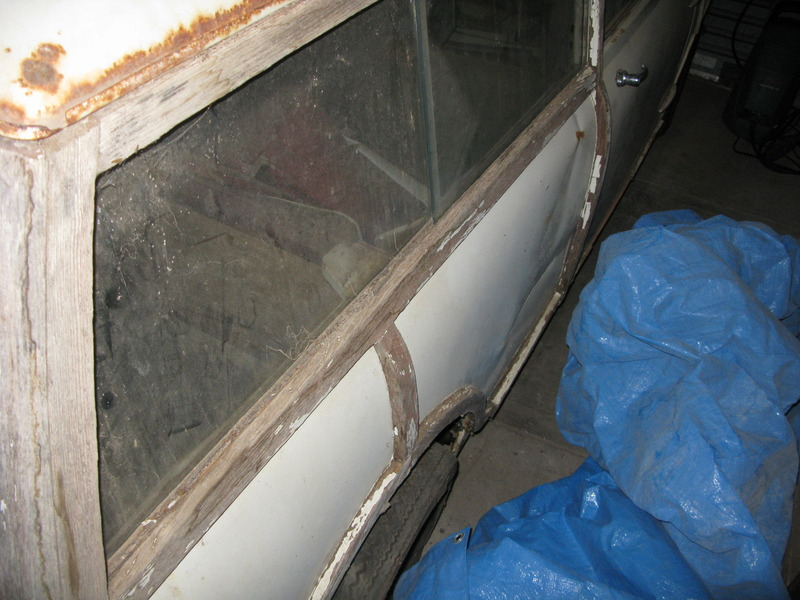 The wood is all there, but the wagon needs a lot of body work to be fully restored. It’s worth more than you’d think. 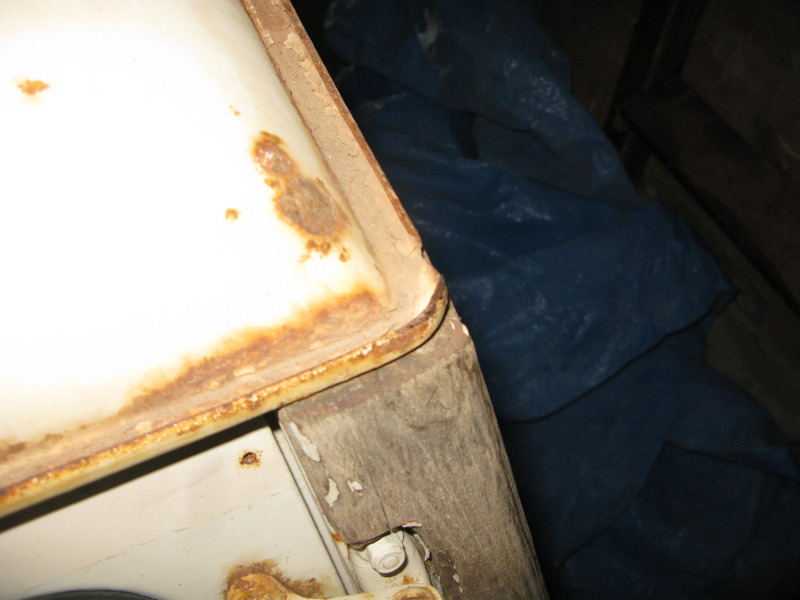 Its an early Mk1 internal tank. 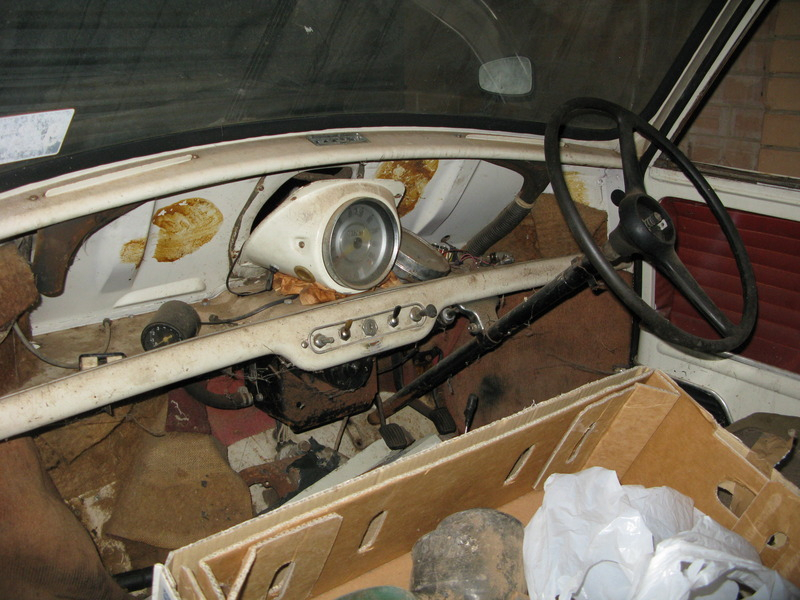 The register in the UK only has 17 internal tanked Morris’s on their list. 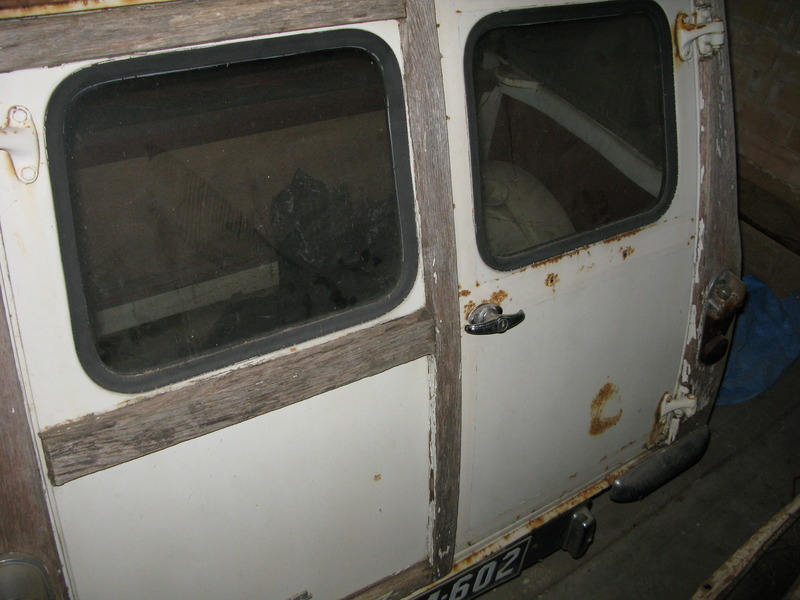 There are only three internal tanked woodies that I know of in Australia and yours is the earliest one of them. Do you have a heritage certificate for it? From the engine number I’d guess its from late 1960 or very early ’61. I’d be really interested to see what Heritage reckon about the dates. Interesting that your engine number is 1000 odd earlier than mine, but the chassis number and FE number is about 1000 later. 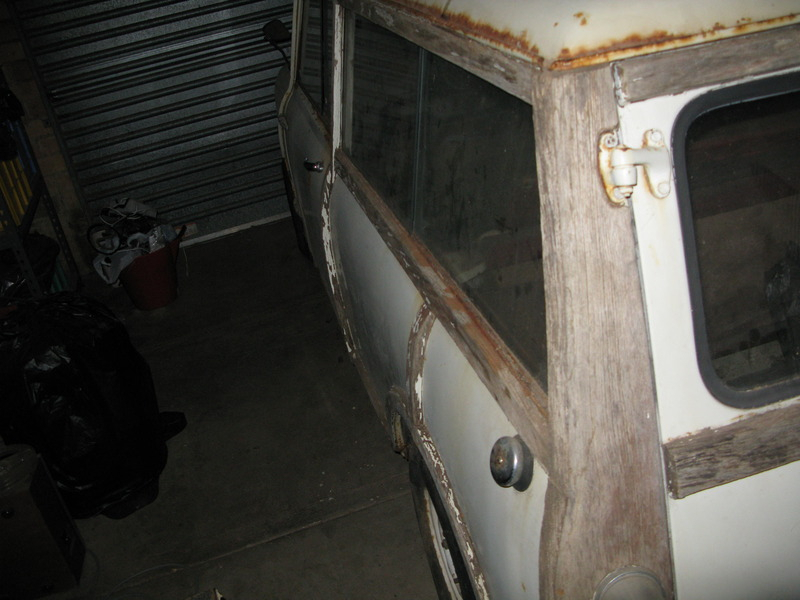 The only other internal tank woody that I know of in Australia is an Austin, belonging to Garry in Albury. His is a fortnight earlier than mine, but has a higher engine number. They didn’t necessarily install the engines in the order that they were made, but I’m surprised that they were that far apart. 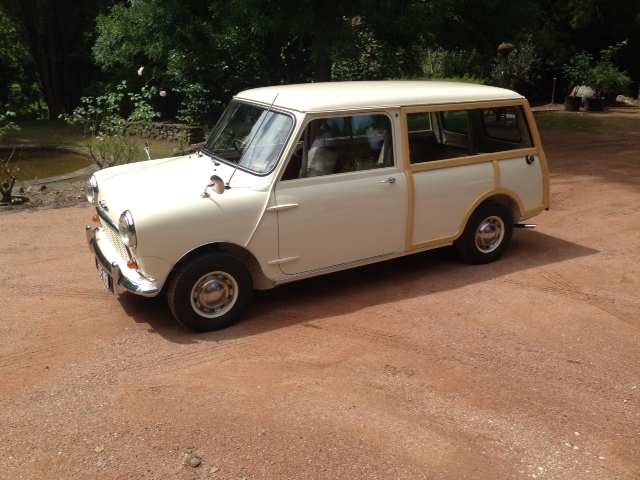 It was my grandfathers car and I remember travelling in it with him as a nipper. I rang my mother and best we could work out was that my grandfather purchased the car in his retirement at age 60 and then only used it to go shopping and visit us and my uncle. 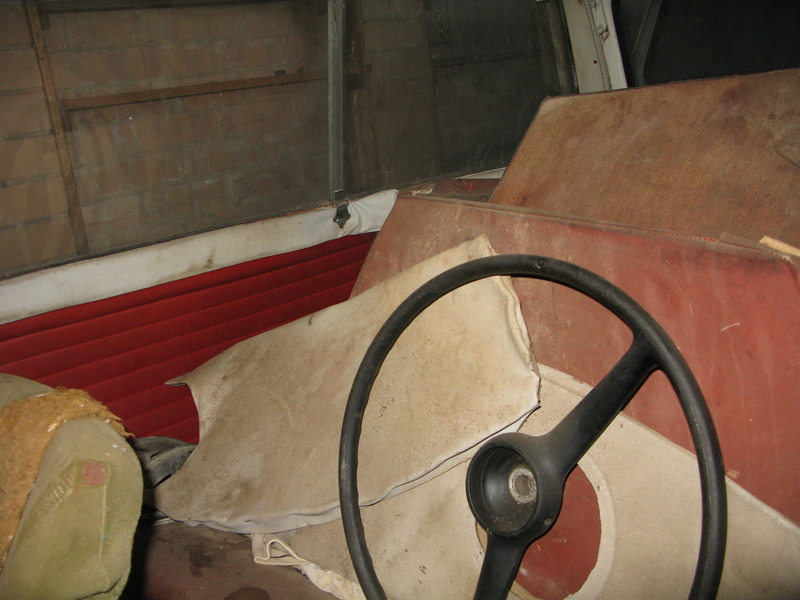 It was his first and only car – he travelled by bus right up to that point. We think this was about 1970. It never carried more than pensioner’s shopping and 2 pensioners. My grandfather was a fitter and turner/ mech engineer who designed precision lawn mowers for Scott Bonner. Precision lawn mowers? – for bowling greens. His mowers were designed to cut every blade of grass to the exact same height – and they did. 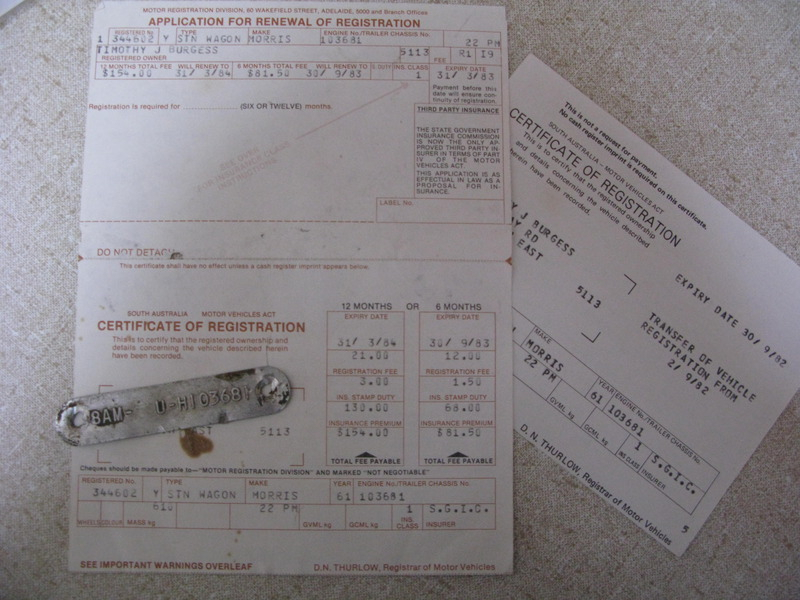 He died in 1982 and my last registration was in 1984. 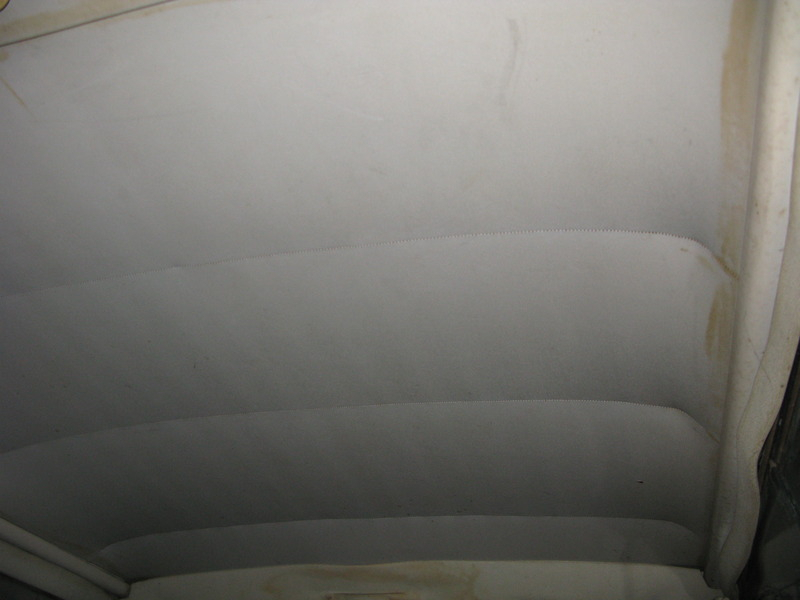 When I got it – it was a clean road worthy car. I feel bad now knowing what it is. Did he know what he left me? Argh – Sigh. 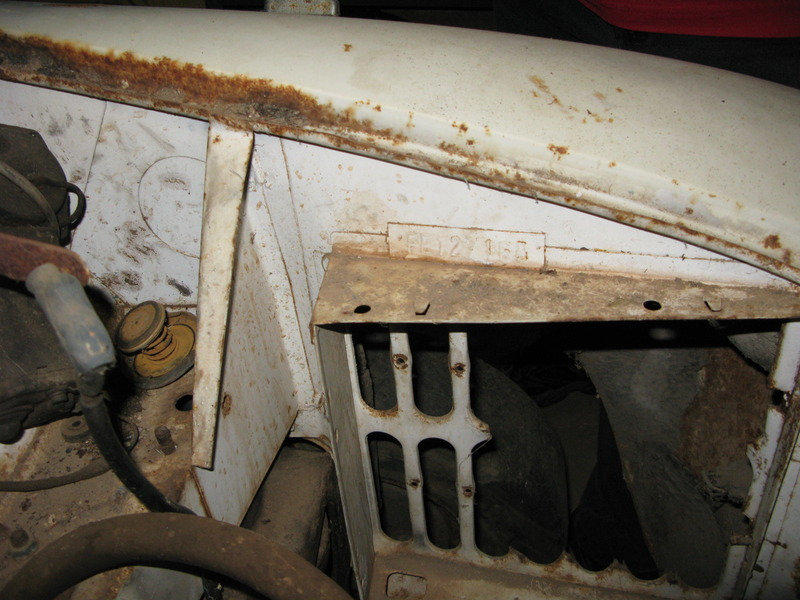 Grill – I don’t think this is the original grill. Ok I guess I know it’s not. I think it was exchanged a couple of years into my Grandfather’s ownership as he was having big problems with car reliability in the wet and he was transporting my sick Grandmother and breaking down. For what it’s worth the car died in my possession from over heating and now I wonder if this grill modification might have been responsible. The day it died it was very hot and my Grandparents would never have left the home in that kind of heat. Oh I fitted a new dizzy cap and leads and she was fine in the water. 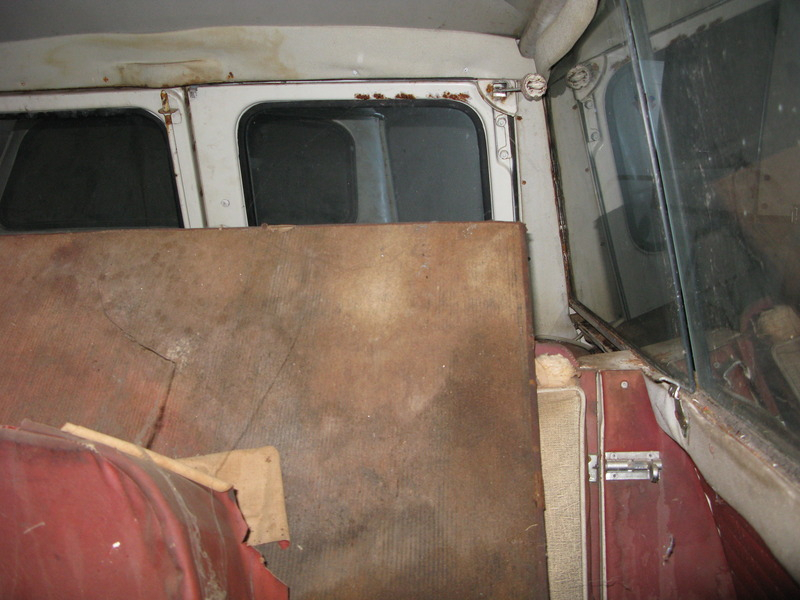 The traveller is rusted – apparently the old steel bodies are famous for it. 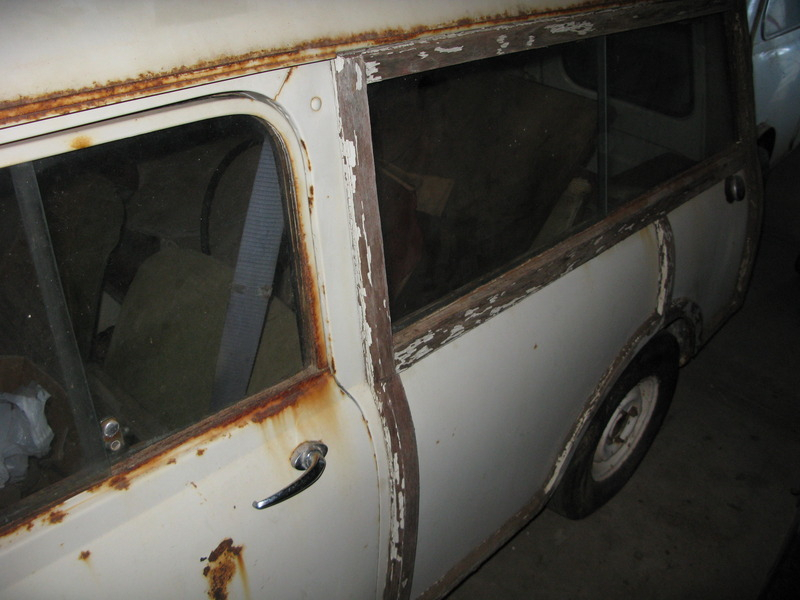 I think most of it is surface rust – I have yet to find any place beyond repair – the worst rust for some reason is in the passenger door. 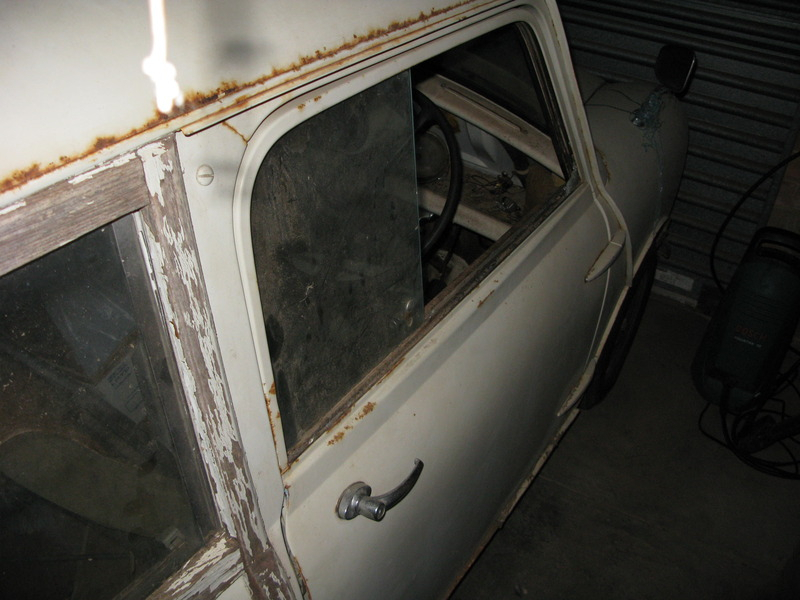 It’s without the original motor/gearbox, but I have the original plates and rego papers in my name so ownership transfer is a possibility. 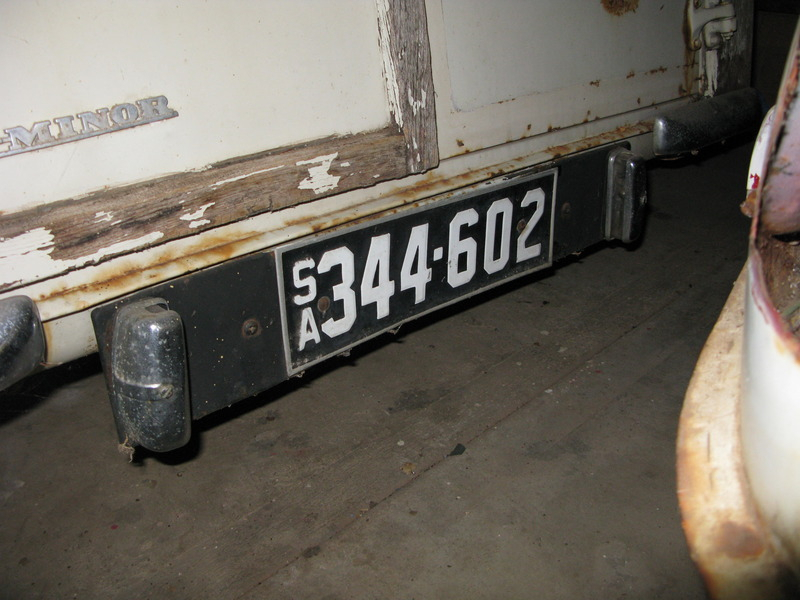 I also have the plate with the engine number on it – engine numbers in 1960 travellers were riveted to the block. 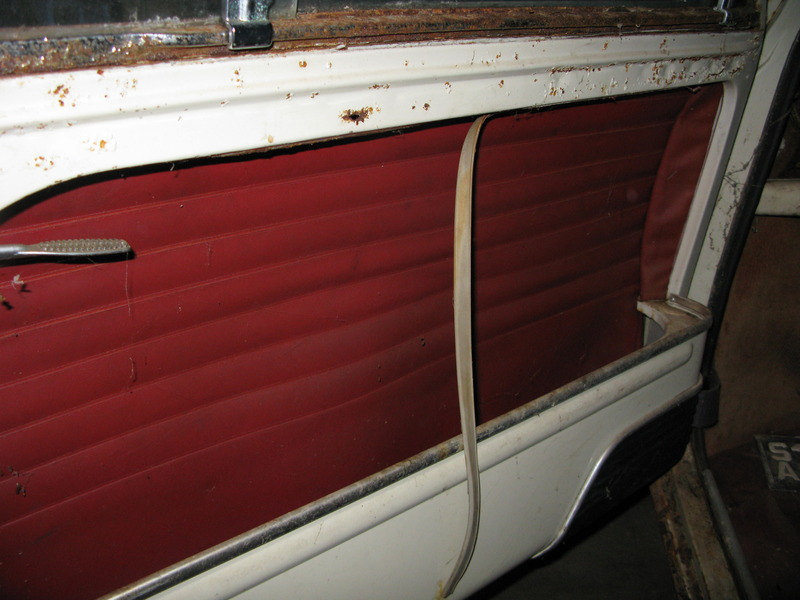 The wood is all there, but the wagon needs a lot of body work to be fully restored. It was my grandfathers car (he bought it when it was about 8 years old) and then I inherited from him. I remember travelling in it with him as a nipper. So 3 owners only. Been gunna restore it for 25 years and never had the time. Still don’t have the time and now moving to smaller house – don’t have the space. 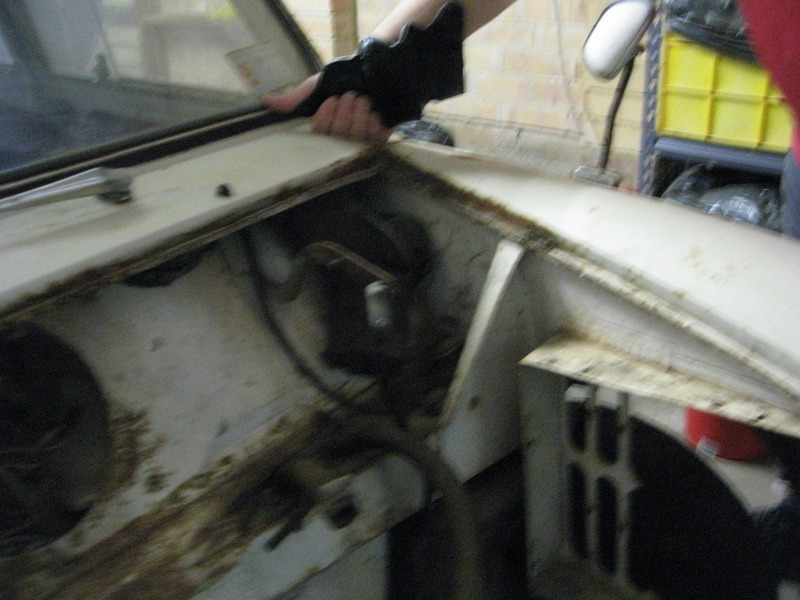 Saw your post on the Mk1 Mini Forum and thought we’d get in touch. We look after the Mini Traveller And Countryman Register so we have an interest in all Countryman and Traveller cars that are still in existence. 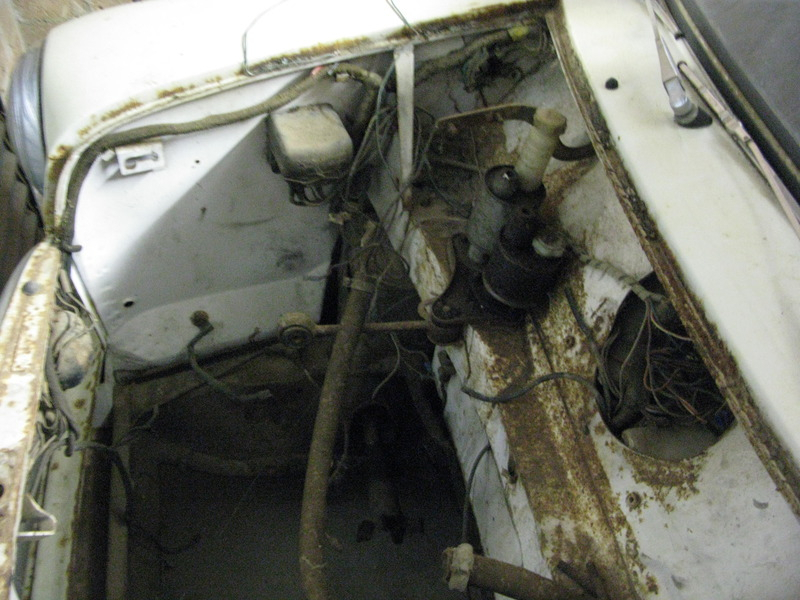 With an internal tank this car will definitely be earlier than October 1961 – the launch date of cars with external tank, although we have external tank cars on the register with build dates of May & June 1961. 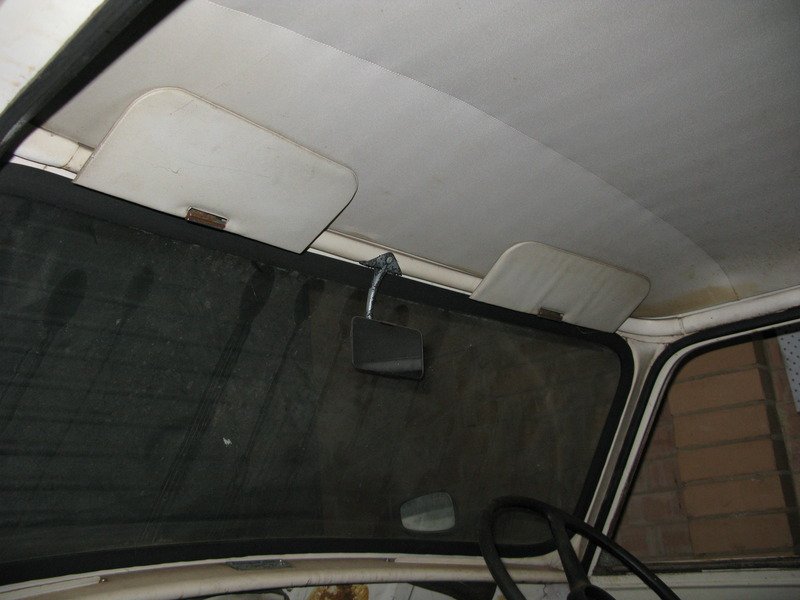 There are other clues which could help to date it too – you car has the drip rails which were added in late September 1960 and also has a recessed screen as fitted from October 1960. 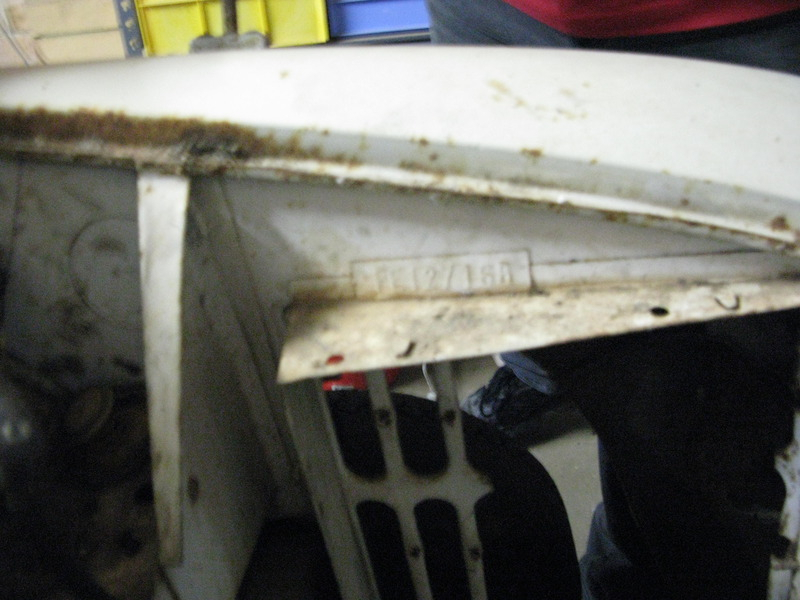 Do you have the chassis number of the car? Should start with M-AW4…..
With a chassis number we should be able to narrow down the build date to a couple of months for you. When you sell the car, we would really appreciate it if you could tell the new owner about the MTACR and ask him or her to register the car with us via our website.